Tomorrow is Martin Luther King, Jr. Day. It’s been a holiday in all fifty states only since 2000, when Utah finally adopted it. 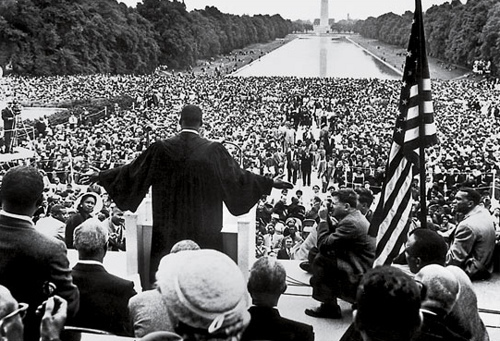 MLK was a hero, and the holiday dedicated to him is a good time to reflect on his life and on the meaning—and especially the limits—of being a hero. America is not that nation yet—not quite—but we’ve progressed awfully close to it since King’s 1963 speech at the Lincoln Memorial. And the progress has been largely inspired by King. His insistence on non-violence sealed the commitment of African-Americans to it, and his description of what justice meant captured the conscience and then the heart of much of white America.